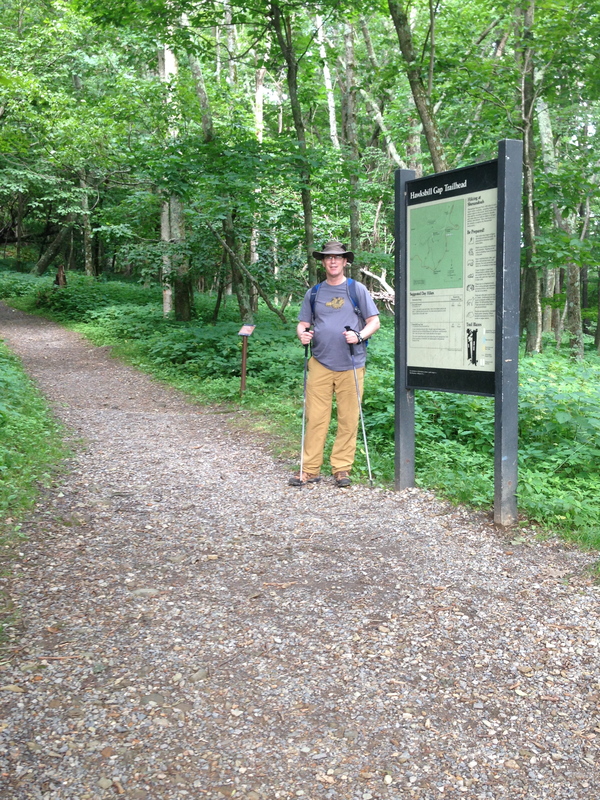 This past Tuesday, August 5, Karen and I hiked two paths, one in the morning and the other in the afternoon. 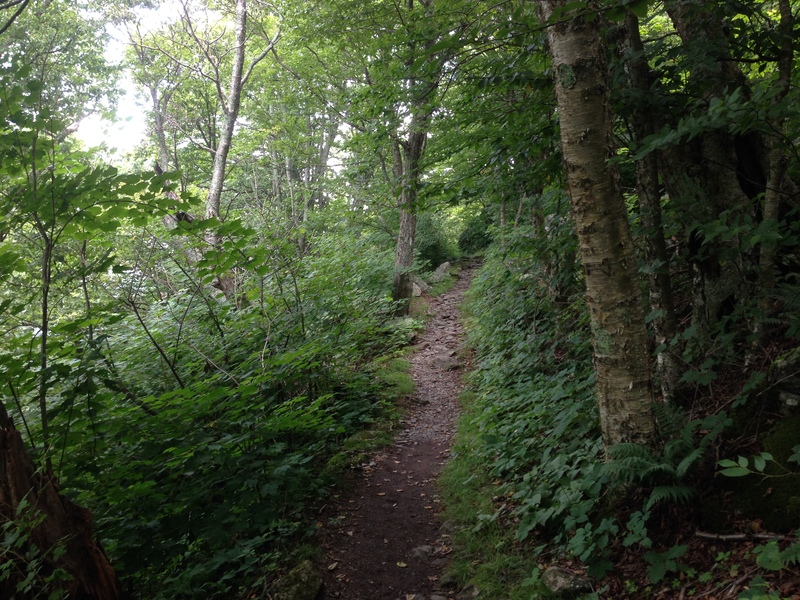 Our first was a jaunt up to Hawksbill Summit, part of a loop comprised of the Salamander Trail and doubling-back upon the Appalachian Trail. All-in-all, the hike was three miles long. I noted before that I would let you know if I ever went “the wrong way” or in a direction contrary to my intent. Well, I sort of did that. Falcon Guides’ Hiking Shenandoah National Park says that “the trail begins at the north end of the Hawksbill Gap parking lot” and that “a level spur trail about 100 yards long leads to the Appalachian Trail.” Well, there was such an obvious trail leading from the middle of the parking lot that it never occurred to either Karen or myself to look north or south for another trail. The 100-yards-long spur just seemed to have no end to it. On and on we climbed till eventually we had ascended 600 feet. One would think that that would have more than covered the length of the spur, but still we did not reach the A.T. Instead, we found ourselves at the three-walled shelter of the Bird’s Nest, near to the summit of Hawksbill. Here, a look at the map told us what we had done—that we had ascended the section of trail that was supposed to be our final descent and that we were walking in the direction opposite to that suggested in the book. In other words, we went “the wrong way.” Now that I’ve made a full confession, I hope that it is helpful. 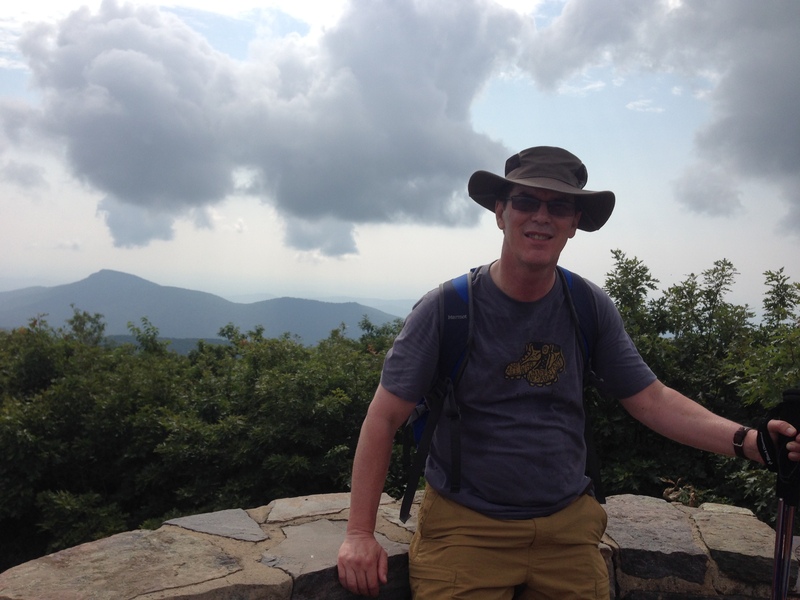 Hawksbill Summit offers a nice view of the Shenandoan valley and, in the other direction, of Rag Top. Surprisingly, the A.T. was the narrowest of the three trails comprising this loop. It was also the rockiest, with sections being only rock. I kept expecting a descent as we approached the spur trail, but there was no descent at all resembling the ascent by which we began our hike:— a good reason, I should say, to follow the suggested directions in the guide book. After a restful lunch, we hiked the 1.2 mile loop of Bearfence Mountain. In doing this, we were especially careful to follow the directions in our guidebook. Even so, we were hardly prepared for the amount of scrambling over rocks that this jaunt called for. In fact, it was more of a rock climbing venture than a hike and demanded some dexterity and a little courage. What wasn’t needed was our trekking poles, particularly since our two hands—not to mention our knees and our rear ends—were needed in maneuvering ourselves up and down piles of jagged boulders. 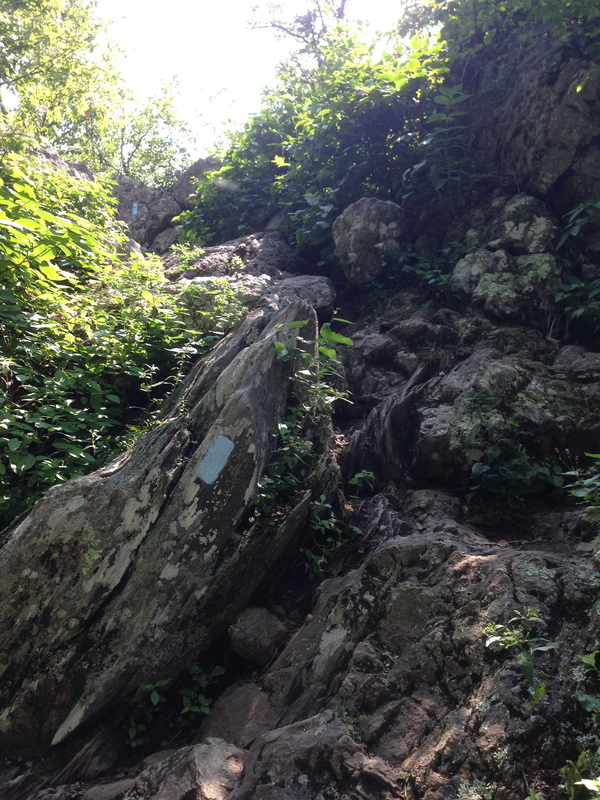 Well, as they say, Shenandoah rocks!